River City Phase 3 is a new condo and townhouse development by Urban Capital Property Group currently in preconstruction at Lower River Street, Toronto. The development is scheduled for completion in 2017. At 29-storeys, the stacked design highlights the unique nature of each unit, while keeping things visually stimulating for those walking by. 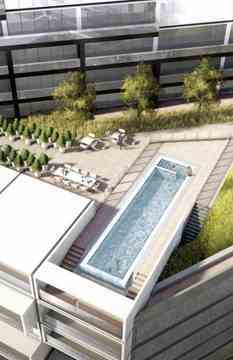 With landscape design from Claude Cormier, the outdoor spaces show play well off of the rest of the development, with a green roof and lap pool serving as particular highlights. 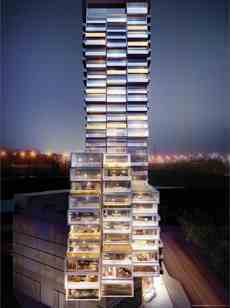 River City Phase 3, standing at 28 storeys and stunning architecture. These suites have a modern design and will stand out in downtown Toronto.